In a recent post on my personal blog (“Is mediocrity intelligent?”), I talked about the importance of a diversity of strategies — even apparently “wrong” ones — to the long-term survival of a species. The corollary of course is that overinvestment in any single strategy can be catastrophic. We see this issue at play in modern agribusiness. The 1923 musical hit “Yes! We Have No Bananas” is said to have been written after songwriters Frank Silver and Irving Cohn were denied in an attempt to purchase their favorite fruit by a syntactically colorful, out-of-stock neighborhood grocer. It seems that an early infestation of Panama disease was already causing shortages in 1923. But the out-of-stock bananas in question were not the Cavendish variety we all eat today; they were Gros Michel (“Big Mike”) bananas, and they were all that American banana lovers ate until the 1950s, when the disease finally finished them off. Why are bananas so vulnerable to these blights? Why aren’t agricultural scientists worried about our other favorite fruits — apples, for example? Because there are many different types of apples. I’m dizzied by the variety at our local produce warehouse. But not only is there just the one type of banana at the green grocers and in supermarkets; each banana you’ve probably every eaten is a clone of every other banana you’ve eaten. One genetic pattern manifested billions of times over, across millions of households in the past half century. And each Gros Michel was a clone of every other one, too. That’s because bananas reproduce asexually (as do potatoes, another food that’s especially vulnerable to disease — remember the Irish potato famine?). Cavendish DNA is different enough from Gros Michel DNA that the disease that targeted the one species was no threat to the other. But any infection that can kill one Cavendish plant can wipe out the worldwide supply. There are many reasons food activists attack Big Agribusiness — some good, some bad, and some wacky. One criticism that seems eminently reasonable to me is a concern that Big Agra puts all its billions of eggs in one giant basket. Once upon a time, genetic diversity in farm products was built into how farming took place. Farmers farmed local land with local genetic strains of plants and animals. Chickens may have come from Asia, and Europe never saw a tomato until the Spanish brought some back from the New World, but even as trade began to go global several centuries ago, the limits of transportation and technology meant that gene pools could be local and diverse in a way that is much harder in our era of global overnight shipping and transnational corporate bureaucracies. If an infestation wipes out the Golden Delicious, I can eat Fugi apples instead. 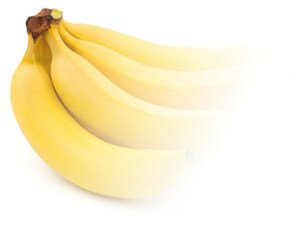 But if the Cavendish disappears tomorrow, there isn’t yet a different banana to take its place. In “Is mediocrity intelligent?” I wrote about the time my professor presented to the “artificial life” department at Bell Labs. In the context of a communications-research lab, artificial life was about using the lessons of biology, ecology, and evolution to make telephone networks more robust. You may think that agriculture is more “natural” than phone switches and fiberoptics, but farming often short-circuits nature’s mechanisms to suit our short-term goals. One of the main such strategies of nature is diversity. And as I tried to illustrate, in that post, with the concept of the genetic deme (an isolated and seemingly inferior gene pool within a species), diversity means that what looks like an inferior strategy today could turn out to be the salvation of the species tomorrow. If that wasn’t enough to declare the driver’s politics, the next bumper sticker made the claim that strong public schools create strong communities. Now, it’s a standard complaint against leftists that they talk diversity while pushing ideological conformity. Political correctness, and all that. But to me the greater irony is that the Left consistently pushes centralization. Eat local, buy local, but decide everything in Washington DC. I know that there are left-wing decentralists, and perhaps they genuinely do see the important parallels between genetic diversity and political federalism, between local communities and local authority. But I keep thinking of a story Tom Woods tells of his attending a decentralist conference back in the 1990s, where he happily discovered like-minded activists from both Left and Right. But to the apparent delight of the left-wing so-called decentralists, the highlight of the event was the keynote speaker: Vice President Al Gore. No, in my experience, the vast majority of people with Buy Local bumper stickers, as with the Celebrate Diversity crowd, are also often, e.g., Women for Obama — that is to say, champions of ever-more-centralized authority. I’m confident that the driver in front of me at the intersection saw no irony in celebrating diversity while advocating strong public schools — and an even stronger central government. But in the biosphere, where diversity rules, order is spontaneous. That spontaneous order is both the cause of and the result from overwhelming diversity. There are no central strategies in evolution, only in the human world, and only in recent human history. 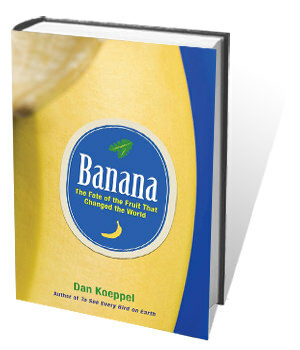 Evolution gave the natural world hundreds of varieties of banana. The United Fruit Company (hardly a free-market firm, by the way) gave us only one. Very interesting. I like the way that you worked the idea of spontaneous order into your discussion. Very a propos. Yes, this is the thing that Statists just do not get. Or, perhaps the leaders of this philosophy get it only too well and simply have no interest in leaving their neighbors alone in their pursuit of their own happiness. Conformity, singularity, regimentation, unquestioning obedience, and centralization are the watchwords of the Statists. They look for support in the custom-designed brainwashing in the public schools. And the people believe in it and hang themselves with their own rope. That’s where Libertarians come in.